It’s nice to find a community where everyone sees through the same, corrective lenses. That’s the goal of Great Glasses Play Day, an annual event created by three moms who want to show kids who wear glasses, contacts and eye patches that they’re in good company. 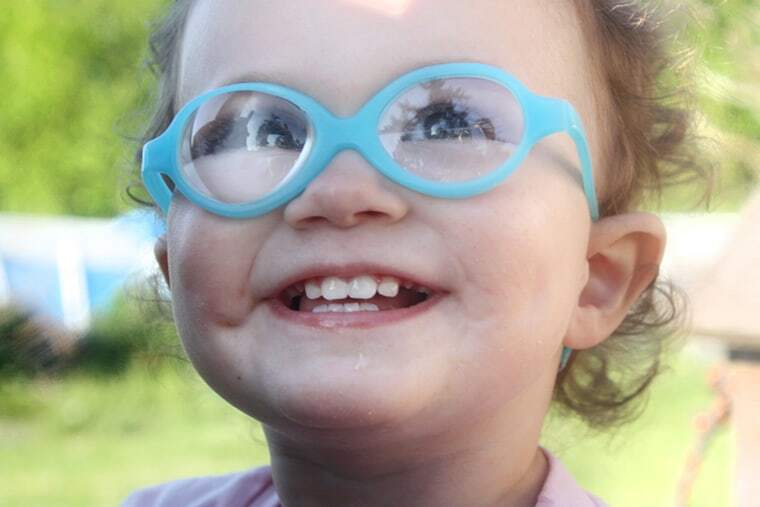 Ann Zawistoski of Northfield, Minnesota, says she founded GGPD after parents from Little Four Eyes —the online support group she created for parents of babies and toddlers in glasses—talked about a way for kids who wear corrective eyewear to meet in person. One of the parents Zawistoski first connected with was Kristin Ellsworth, the founder of Peeps Eyewear and a Madison, Wisconsin, mom whose daughter, Annie, 9, wears glasses to correct eye conditions she was born with. A long-time volunteer for and proponent of childhood vision screening, Ellsworth says she and Zawistoski spent a few years planning before launching the first Great Glasses Play Day in 2012. “We both dreamt of an event where kids in glasses could be surrounded by other kids just like them, in playgrounds and parks—even online— having fun and supporting each other and increasing awareness,” said Ellsworth. In 2013, the duo partnered with Jessica Butler, owner of Eye Power Kids Wear, a Portland, Oregon, company that designs t-shirts for kids who wear glasses and eye patches. Butler’s son, Scott, 2, was born with a congenital cataract that caused him to be blind in one eye. “At four weeks old, he had cataract surgery and started wearing glasses, an eye patch and a contact—something I didn’t even know was possible,” said Butler. “Not many people have to put a contact into their 2-year-old’s eye." Zawistoski says GGPD is also a way to focus on awareness of early detection and treatment. At age 7, Zoe Zawistoski has been wearing glasses since she was a baby and says she feels comfortable wearing them and barely feels them anymore. “I like that they help me see. And I like picking them out and looking in the mirror when I try them on,” said Zoe. A listing of GGPD meet-ups can be found on the Great Glasses Play Day website, as well as on Facebook. Parents with kids who wear corrective eyewear are encouraged to post photos of their little ones on social media throughout the weekend, using #greatglassesday. Here, some more bespectacled cuties, courtesy of Great Glasses Play Day/Eye Power Kids Wear.